The streak continues as Brad’s Deals and Shop Smart LLC collect workplace awards in 2018 with wins from Best & Brightest Companies to Work For and Comparably. The Best and Brightest list is assembled each year by the National Association For Business Resources, selecting companies that demonstrate “the most innovative and thoughtful human resources approach.” Best & Brightest surveys current employees on thirteen topics including compensation, work-life balance, diversity, and community initiatives to find the best companies to work for across the country. Brad’s Deals has won six consecutive local and national Best and Brightest awards from 2013 to 2018. 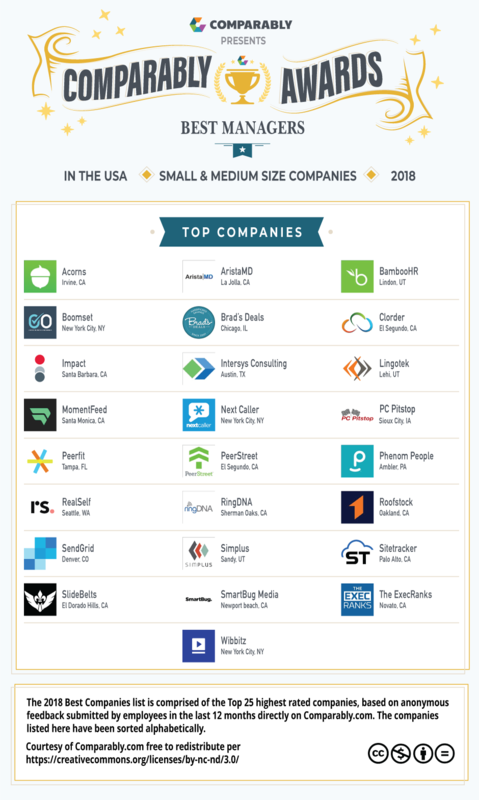 Comparably also has named Brad’s Deals one of 25 companies earning its national Best Managers award for small and mid-sized companies in 2018. Comparably’s awards are based on anonymous feedback submitted by company employees regarding company leadership and workplace culture.